Andy Crowder joined Scripps as a corporate senior vice president and chief information officer in 2016. With more than 25 years of experience in information services and technology, Crowder is leading Scripps’ system-wide, inpatient and ambulatory implementation of the Epic electronic health record and revenue cycle platforms. Before joining Scripps, Crowder served as the senior vice president and chief information officer for Maine Health, where he orchestrated an Epic implementation and IS transformation initiative at 11 hospitals. Crowder also previously served as senior vice president and chief information officer for Florida Hospital, a seven-hospital system with more than 2,100 licensed beds and the largest U.S. provider of Medicare services. During his tenure, he also had oversight of performance improvement, biomedical and clinical engineering, facilities, nutritional and environmental services and construction. 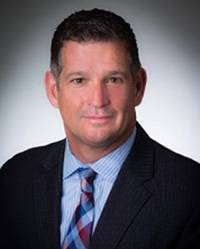 In addition to his experience in health care, Crowder served as the chief information officer for Central Florida Investment and Westgate Resorts and has held several engineering roles with IBM. Crowder holds a Bachelor of Science in Information Technology from Kaplan University and an Associate of Science in Computer Engineering from Tampa Technical Institute. He is also a Certified Chief Information Officer (CHIME).